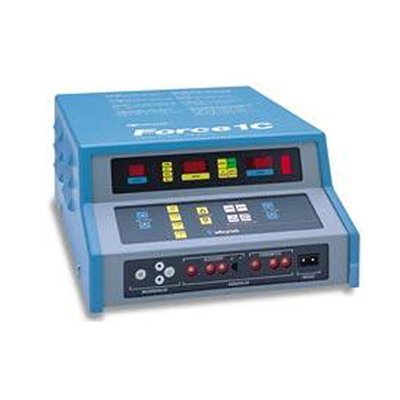 The Force 1C generator features a compact design suitable for the requirements for outpatient and office-based surgery, and the performance requirements for a full range of inpatient general surgery applications. 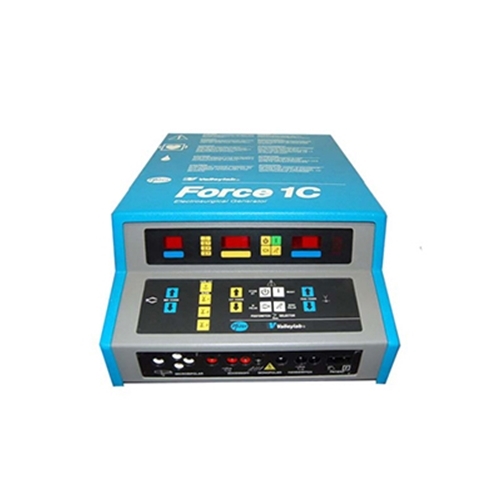 The Force™ 1C has a streamlined, compact design perfect for the requirements of outpatient surgery – as well as the power and performance features needed for a full range of general inpatient surgical procedures. provide flexibility with varying degrees of hemostasis in the cut modes. reduce the need for readjustment between procedures. 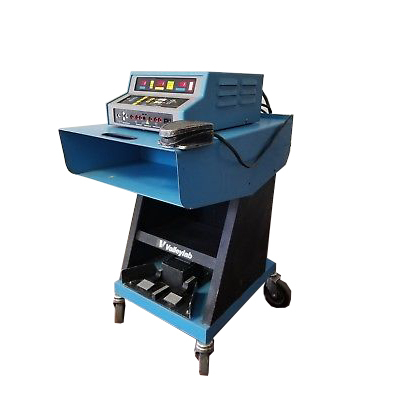 Microbipolar and monopolar modes are set independently, and the digital display allows easy confirmation of power levels. directs current return to the generator, reducing the risk of alternate site burns. is guaranteed with Valleylab's REM™ Contact Quality Monitoring System, which continually monitors the return pad patient contact quality. If a fault is detected, the REM™ system automatically deactivates the generator – virtually eliminating the risk of burns under the return electrode. Valleylab REM™ safety has been proven in more than 100 million surgical procedures worldwide.